Lecturing your teen on driving responsibly won't work unless you set a good example. Put a brake on those bad habits and your kids will follow your lead. A few years ago I was rushing to get my daughter after school when I coasted through a stop sign. A policeman gave me a ticket, but luckily I was a few blocks away from her bus stop, and she didn&apos;t see it. I&apos;m generally a safe driver, but my kids never hesitate to call me out when I bend—or break—the rules. That&apos;s a good thing because I know my transgressions, however few, can have a serious downside. According to a Liberty Mutual Insurance and Students Against Destructive Decisions (SADD) survey, 91% of teens say they&apos;ve seen their parents talking on a cell phone and 59% have caught them texting while driving. "Teens are definitely watching and paying attention to what adults do behind the wheel," says Angela Patterson, communications manager for Bridgestone Americas. "If moms and dads talk about safe habits but don&apos;t model them, their advice can fall on deaf ears." We&apos;ve assembled a checklist of the most common behaviors everyone needs to steer clear of so that good driving becomes a family affair. 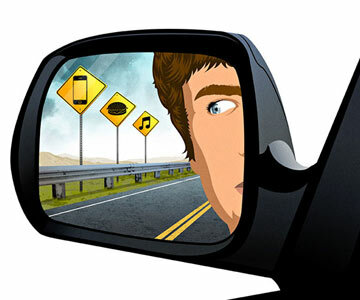 Road Risk: Whether chatting, texting, emailing or posting on Facebook or Instagram, we're connected to our phones 24/7. But anything that causes a driver to look away from the road for more than two seconds decreases reaction time and doubles the risk of being in an accident, says C. Raymond Bingham, Ph.D., a research professor with the University of Michigan Transportation Research Institute. Cell phones, including hands-free devices, are also dangerous: They cause five times more crashes than texting alone because people use them more often, explains John Ulczycki, a vice president for the National Safety Council. Auto Correct: Let's be honest: We're all guilty of answering the phone in the car. I did it constantly, assuming it was my husband on the line about something urgent. Ironically, my 16-year-old daughter set me straight. After reprimanding me time and again, she now picks up my cell, saying, "Mom can't talk—she's driving. Let me know what you need and she'll get back to you." I, in turn, have stopped calling her when I know she's on the road. 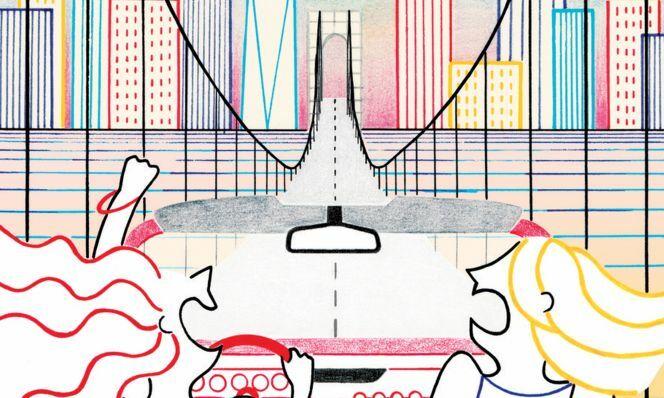 "Wait until you're pretty sure your child has arrived at his destination," suggests Dave Melton, managing director of Global Safety for Liberty Mutual Insurance. "And if you absolutely have to contact him, keep the conversation short." Technology is also your friend—there are apps that prohibit teens from using their cell while driving, but still allow them to dial 911 or phone you in case of emergency. Try AT&T DriveMode (free to AT&T customers; BlackBerry and Android) or TextLimit ($25 per year; BlackBerry, Android and iPhone). Road Risk: When I got my license in 1978, it was a rite of passage to take friends for a celebratory spin. Now that's illegal in most states, and for good reason. Teen drivers are six times as likely to have a serious incident when there's loud conversation happening in the car. What's more, nearly 40% of 16- and 17-year-olds killed in crashes had at least one person younger than 21 (and no older passengers) in the vehicle, according to the AAA Foundation for Traffic Safety. Auto Correct: All 50 states have some form of graduated driver licensing that restricts the number of passengers and/or limits night driving in the first year. This strategy works: Fatalities among 16-year-old drivers have been reduced by 38% and injuries by 40%, according to AAA. If your state is more lenient, establish your own curfew and no-passenger rules, and be sure to impose tough penalties—like taking the keys back for a month—for breaking them. "Every teen needs to know that these behaviors have consequences," Patterson says. Road Risk: During our family road trips, we would hit the drive-thrus instead of stopping for meals. That meant either my husband or I would pull out, one hand steering, the other precariously holding a sandwich, then merge onto the freeway. When the kids were little, they were too immersed in their Happy Meals to notice, but now we set a better example. "If a teen's munching on a hamburger behind the wheel, he's thinking about his food—not the road," says Bruce Hamilton, spokesman for the AAA Foundation for Traffic Safety. Auto Correct: As you set up a driving contract with your teen, specify that absolutely no eating or drinking is allowed. Unless they're neat freaks, it's pretty easy to find out whether they're breaking the rules; mine usually leave straw wrappers, empty ketchup packets and sandwich bags on the floor. Before you automatically revoke driving privileges, Patterson suggests getting to the root of the problem. Not having enough time for a decent sit-down meal can be a sign that your kid is overbooked and may need some scheduling adjustments. Road Risk: I used to routinely go 5 to 7 miles over the limit—10 on the highway—until I noticed my kids eyeing the speedometer. Adolescents are already hardwired for excitement and don't need any more encouragement from parents; 94% of teens speed, according to Liberty Mutual Insurance and SADD. And no matter how high-tech, seat belts, airbags and front-end crush zones don't offer immunity from serious collisions. Auto Correct: Constantly remind your kids that yes, speed kills. It's fine to guilt-trip them by citing the damage to your pocketbook. Teens aren't deterred by the possibility of getting a ticket, but they're not paying the insurance premiums, which can rise on average as much as 22% after a single moving violation, according to Insurance.com. Playing Big Brother also works. Free apps like DriveScribe (Android, iPhone) immediately notify you via text or email if your teen is going too fast, braking hard or running a stop sign. The Insurance Institute for Highway Safety found that electronic monitoring reduces risky behavior—teens are more likely to wear seat belts and stick to the speed limit. Road Risk: We live in a 1920s house in Michigan with no garage, so on snowy days I'd give the windows a quick scrape before leaving home, relying on the defroster to do the rest. Last winter, my son followed my lead. He'd only driven a block before he was stopped and given a $130 citation for having an obstructed windshield. I was shocked, unaware such a penalty even existed. But that's not my only concern: Snow and ice are especially treacherous for those with less experience, who tend not to adjust their driving to rough conditions. Auto Correct: Fact is, only 25% of parents plan to have their teen practice in a variety of weather conditions. To thoroughly prepare your teen, make sure she's comfortable with every situation she might encounter: torrential downpours, blinding fog, pounding sleet. If she gets her license in the summer, insist on a refresher course once winter arrives. Many driving schools offer classes geared specifically to coping with the seasons, and there are free online programs, like Ford Driving Skills for Life (driving skillsforlife.com). Teens should also do test runs on a variety of roads—rural and urban, school zones and interstates. Gender Gap: Boys are more than three times as likely as girls to drive under the influence of marijuana and alcohol, and almost twice as likely to not wear a seat belt. Girls are three times as likely as boys to hold a cell phone to their ear and nearly twice as likely to become distracted by electronic devices. Originally published in the April 2014 issue of Family Circle magazine.